Karen Hammes has over 20 years technical and design experience using established Tile Council of America guidelines. Tile installations range from kitchen floors and backsplashes, to entry foyers, laundry areas, bathrooms, showers, and fireplaces. 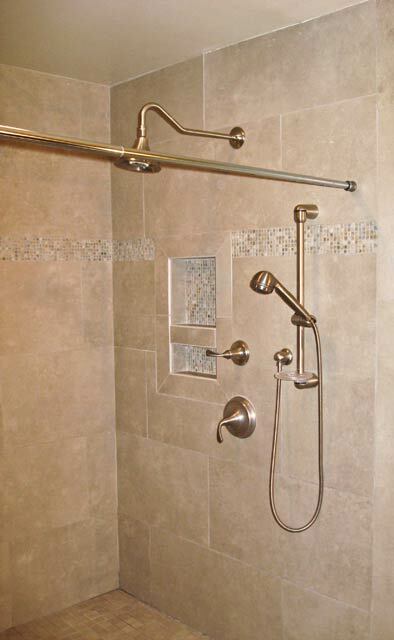 Shower installations feature design and functional elements such as recessed niches, decorative liner accents, floating benches, granite/marble curbs and shelves. Installations also include standard tub surrounds with specialty liners and shelves. Call 616♦847♦9023 for appointment today!